Over the years, TV channels dedicated to shopping have become increasingly popular where you can sit and watch products ranging from apparel to electronics from anywhere you are with internet access. 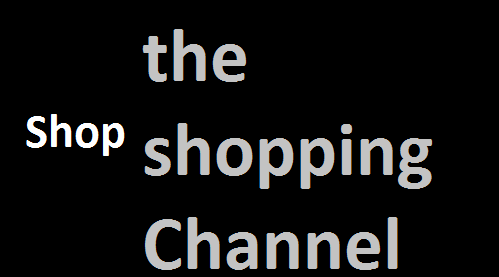 Here in Canada we are lucky to have one of the best, The Shopping Channel, also known as TSC, where for more than 28 years they have been selling top name brands in every category you can think of. What they sell are high quality products with exceptional value where the customer feels like part of their family. They are on the air 24 hours a day, which is perfect considering those who may work odd hours will be able to watch them. The on air demonstrations are both entertaining and helpful to watch, as it enables the viewer to see how a product works and how to use it. Once you sign up and join, you will be able to purchase from their vast assortment of products. You can make purchases by calling the toll free number, going online where you can find detailed information on the products along with helpful reviews, or you can use their app to make purchases once you download it to your smart phone. To make it easy, you have the option of using 6 easy payments to pay off your purchase. You will have 30 days to decide if you want to keep the product or not, however, if you want to make a return, just use the Easy Return Canada Post shipping label included in your order for a full refund minus the shipping charges. They stand behind every product they sell. If the product was defective or damaged, the shipping charges will be waived. On select orders over $150.00, shipping is free. Their customer service is top notch with every effort made to make sure you as the customer is satisfied. The channel is more than just a place to shop, for many especially those who are home, it keeps them company during the day or night as well as being a voice in their home while being entertained. They get to know the hosts as well as the personalities that appear on air. When it comes to fashion you will be able to see how the item will look as well as the available colors which the models will be wearing. The models themselves are in different sizes and shapes so you can see and determine how it may fit and look on you. No matter what season in may be, TSC will have the latest trends in fashion apparel, accessories, the newest and up to date electronic products, the best in beauty and healthcare products that are available. They have a great collection of jewelry by famous designers, home and kitchen products and for the hockey fan an NHL Shop. They have something for everyone, make the time and see for yourself all the great products they have. Next articleBe Free from Chapped Lips by Eliminating 5 Popular Mistakes!